At Kids Club, our education philosophy identifies our commitment to providing the highest quality learning. Getting ready for school is an important milestone in our little ones’ life and it requires a strong foundation to help children start this amazing journey of learning. School readiness is not all about academics. We recognise that children up to seven years old learn best through play, and that more important than skill development is their development of social and emotional wellbeing, which is needed to be an active and positive learner. At Kids Club, School Readiness doesn’t just start with the Preschool Room, it starts from the moment the children push the door and learn to say “Good Morning!”, it starts in our Nursery room, continues in the Toddlers Room and flourishes in our Preschool Room. The School Readiness Program is expanded for our preschoolers in their final year before school to ensure that they are given the maximum opportunities to learn new skills, as well as refine existing abilities. 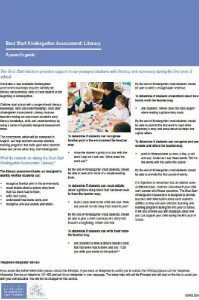 All our learning is based on the Early Years Learning Framework, the Australian National Curriculum. Our holistic School readiness Program aims at supporting the development of confidence and independence skills that your child will need prior to starting school, helping to build a solid foundation for later learning. The School Readiness Program promotes interests and assists your child in becoming an active learner. The program and our extensive educational resources provide opportunities for your child to develop to their full potential whilst having fun at the same time. We focus on independence skills, the social and emotional self (the child must be able to socialise and cooperate with their peers and adults and being able to identify and communicate their feelings), routines (they give children the emotional stability they need and are essential to good behaviour and attention span), teaching respect for themselves and others, and academic skills. During our Learning and Development Meetings, our educators will discuss with you your child’s readiness to start school, and provide you with support to help them to develop their school readiness skills at home. We work in partnership with your family and with local schools in our communities to assist you and your child with the transition and orientation process. The following information covers the different elements combined in the School Readiness program. This area of our program is all about your child’s wellness. We want our children to live an active and healthy life and this program not only includes physical literacy but also yoga, meditation and mindfulness. With tailored fitness programs such as soccer, yoga, dance classes, at Kids club your child will always be involved in a physical program which also develops their gross motor and movement skills. Physical skills are a part of the curriculum that your child will always be involved in. At Kids Club we assist your child in becoming physically aware and healthy learners. This area of the program covers all the domains of academic skills including literacy, numeracy, language, colour and shape recognition. Literacy is all around your child in their day to day life. At Kids Club we harness this and embrace all the forms of literacy and how your child can develop the appropriate skills to become a confident literate learner. Literacy skills are an extremely important part of development for your child. At Kids Club we believe that literacy skills include a variety of aspects, not just reading and writing. This aspect of our curriculum focuses on your child’s understanding of numbers and becoming numerate. At Kids Club we aim to educate your child and help them understand that maths are an extremely important part of life. We use activities and games to promote your child’s number learning and use interest based projects to facilitate positive mathematical learning. Numeracy skills are an extremely important part of development for your child. At Kids Club we believe that Numeracy skills include a variety of aspects, not just counting. This part of the program is where your child will be encouraged to share and discover their creative talents. Weather that be drawing, dancing, singing or acting. It is an important part of our curriculum as children are learning to express themselves and begin to think on their own. Creative includes, dancing, acting, singing and visual arts (painting etc.). At Kids Club we believe The Arts gives your child another form of communication and a way for them to express themselves. Studies have shown that many children can grasp numeracy and literacy skills better through the arts. The Arts also offers your child a form of emotional release and is fun. At Kids Club we provide dance programs as well as planned and spontaneous visual arts experiences. Learning through art, music and movement. Is all about your child becoming acquainted with themselves as an individual, learning how to express themselves and share their feelings and emotions. It is important that your child feels welcome and has a strong sense of belonging to the centre, to their friend and educators. Having world awareness is an area of our program that ties closely to our Kids Club Goes Green program. It is a way for your child to become in touch with the environment and to explore nature and what it has to offer. We encourage your child to have a positive impact on their environment by making environmentally friendly choices and changes. Self-awareness is a part of the curriculum that your child will always be involved in. At Kids Club we assist your child in becoming independent and an autonomous learner. This links to the EYLF Outcome 1 – Children Have a Strong Sense of Identity. – Children feel safe, secure and supported. – Children develop their emerging autonomy, inter-dependence, resilience and sense of agency. – Children develop knowledgeable and confident self-identities. – Children learn to interact in relation to others with care, empathy and respect. Understanding the word is an important part of development for your child. At Kids Club we believe that having knowledge of the world and how their actions impact their environment will assist them to be caring and nurturing towards their environment and aware of others. Using external resources like Alpha Tykes we engage your child in language lessons, challenging their cognitive skills. Our event calendar throughout the year celebrates, acknowledges and encourages a range of mixed cultural events. Your child’s exploration is a powerful source of learning! We encourage your child to be inquisitive, exploratory of the world around them and use their inherent sense of wonder to make their learning fun, enjoyable and relatable. We use exploration for your child as an inquiry-based learning and teaching approach. 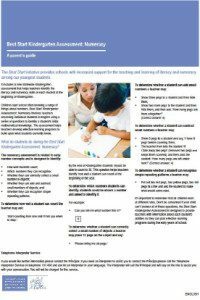 Studies have shown that children will learn best when they can connect with the learning. If a child shows interest, curiosity, inquisitiveness on a topic they are eager to learn and this provides our educators with a basis for exploratory learning. The jobs your children will be applying for in 20 years’ time might not exist today. This makes teaching our children a challenge; however, we can teach and encourage them to be great thinkers and learners, truly giving them the best start to their future. The thinking skills component for Education for Life offers a structured approach to your child’s cognitive and intellectual development. We use intentional teaching times to hold meaningful learning experiences, we use purposeful materials such as puzzles, Lego, concentration and memory exercises. Going to “Big School” is a milestone for your child and yourself. It is the beginning of their formal education and it is important that your child is aware of the positives of going to “Big School”. Below are some tips that we at Kids Club can offer. However, do not hesitate to call or speak to a team member as we are always willing to assist where we can. Encourage your child to self-help, dress, clean and feed themselves. 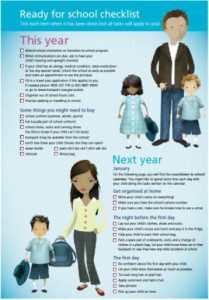 Speak with your child about “big school” and how grown up they are. When talking about “big School” speak positively so your child will adapt to your attitude. When driving or walking past the school make it known and exciting that that is where your child will be going soon. Ensure you and your child know which school they will be going to; this helps them settle and become familiar. If possible make friendships with other children of the same age, so your child recognises a familiar face on their first day. Going to primary school is an exciting time for your child’s life. Together with Kids Club you can make the transition from preschool to “big school” easy and exciting. For more information speak to the Educational Leaders at our centres. Some of our educators with young children have sat together to put together some useful tips on the transition into primary school. Don’t forget to pack a spoon if you put yogurt in. Also note that you should be aware of the school’s policy on acceptable foods. As many schools are nut free due to allergies and anaphylaxis. 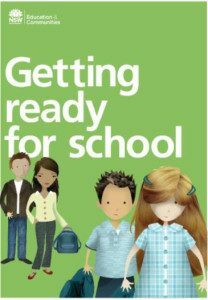 Here is some more information about transitioning to primary school issued by the NSW Government for Education & Communities. Double Click to open in new tab. 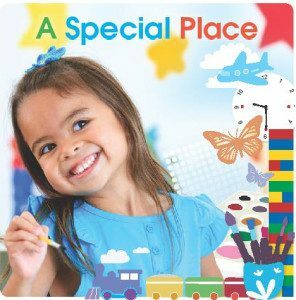 This children’s picture book has been published by the NSW Department of Education and Communities for you to read with your child starting primary school. We have also provided some activity worksheets from schoolatoz that you can do with your child at home for more school readiness practice.